But when do you grow a condom? @Alex Ovechkin, are you by any chance Zaphod Beeblebrox? @a shiny haunter, hey baby wanna see my space ship? I wish I can date a girl with 2 heads. Ok, that came out wrong. @freshpri1, more like 2 holes. 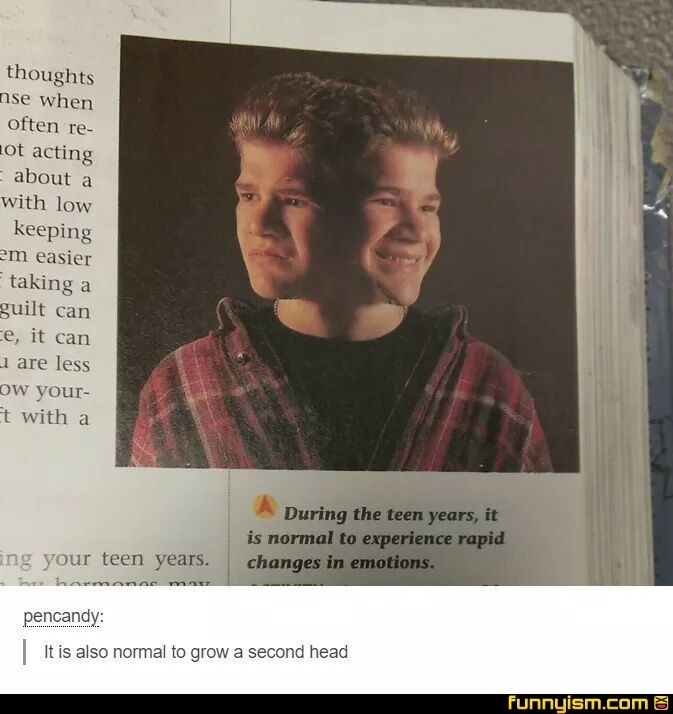 The second head always thinks for you during puberty. School books changed a lot after the fallout. I wonder what these people look like now!